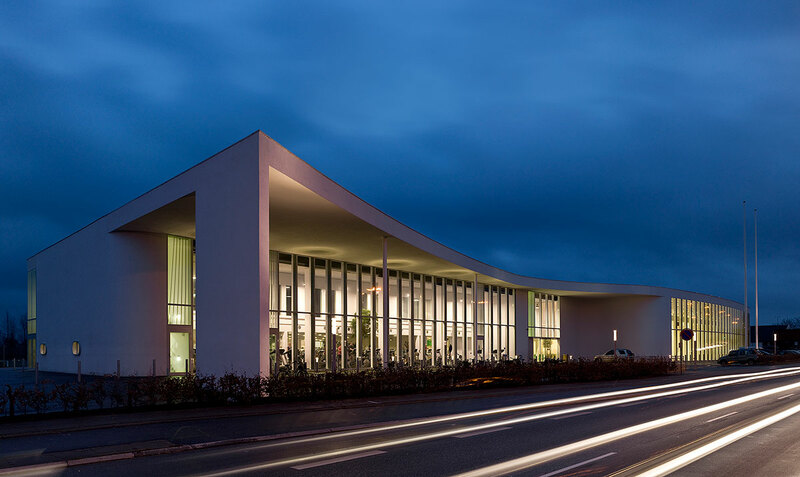 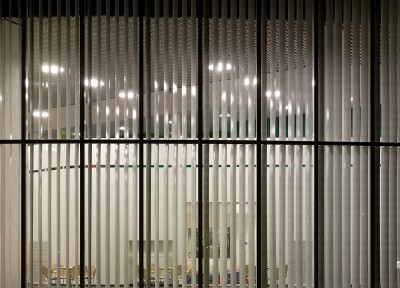 In Birkerød Sports Center, designed by Schmidt Hammer Lassen Architects, Art Andersen introduced the unique scissor blinds, based on the innovations of the research and development project “The Integrated Building Envelope”. 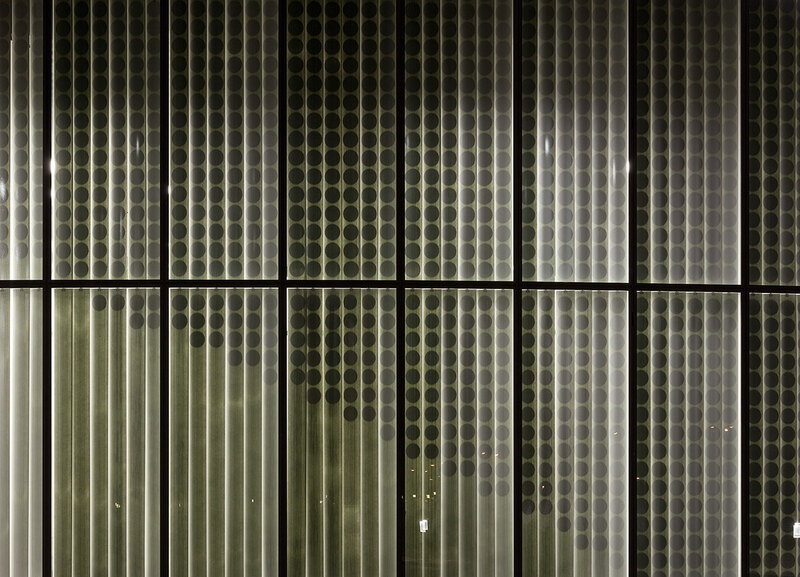 Scissor blinds are a totally new, ultra-flexible solar shading concept. 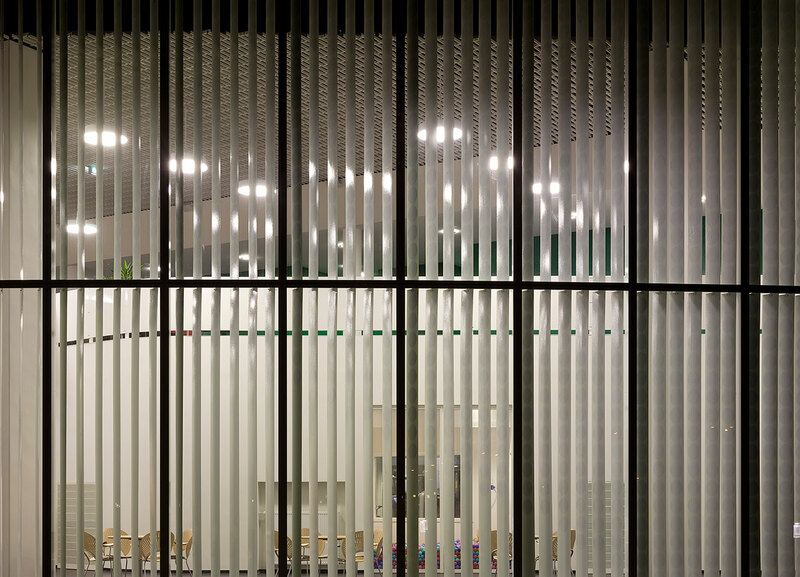 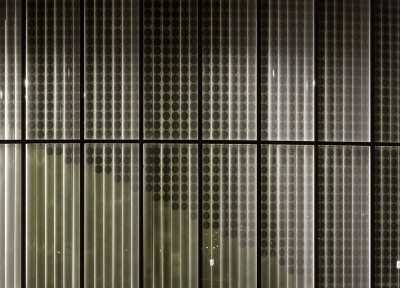 In Birkerød Sports Center the scissor blinds are 8-meter tall, vertical, translucent fiberglass-composite louvers that can pivot and drive to the sides and park compactly – for maximum control of the daylight intake and the view from the street.